At Knox Design, we specialise in Interior Design. We are happy to undertake projects of any size, from major redevelopments to an individual room, from construction to final decoration. We work in close collaboration with our private clients, luxury estate agents and property developers both in Mallorca and internationally. Luxury Furniture and Accessories for your Home. C/Valencia 45, Poligono Son Bugadelles, Santa Ponsa, Mallorca. Our Home Store offers everything you need to make your dreams and projects come true. One thousand square metres of showroom containing scenes filled with seasonal trends and novelties perfectly blended and accessorised to make it easy for you to choose what appeals the most. Taste lies in variety and we want to offer you a full range to inspire you. Rather than furniture, at Knox we sell “lifestyle”. Come and choose the one that suits you best: modern, avant-garde, minimalist, vintage, eclectic, rustic or more classical. Tell us what you’re looking for and we will provide! Your lifestyle is our hallmark. We supply big brands such as Sia and Dome Deco. Accessories will help you give the final ambience to any room. Our showroom offers you a great variety of styles and brands. We also offer a wide range of products that can be ordered throughout our catalogues. Maximum comfort, functionality and durability. Great variety of designs and finishes. Our full team of professionals will help you at all stages of your project. Look, touch, search and, if you cannot find what you’re looking for, ask for it! We are here to listen and help. Whatever is not on view at our showroom we may have in our many top supplier catalogues and an order can be placed for you in no time. C/ Illes Balears 34, Poligono Son Bugadelles, Santa Ponsa, Mallorca. 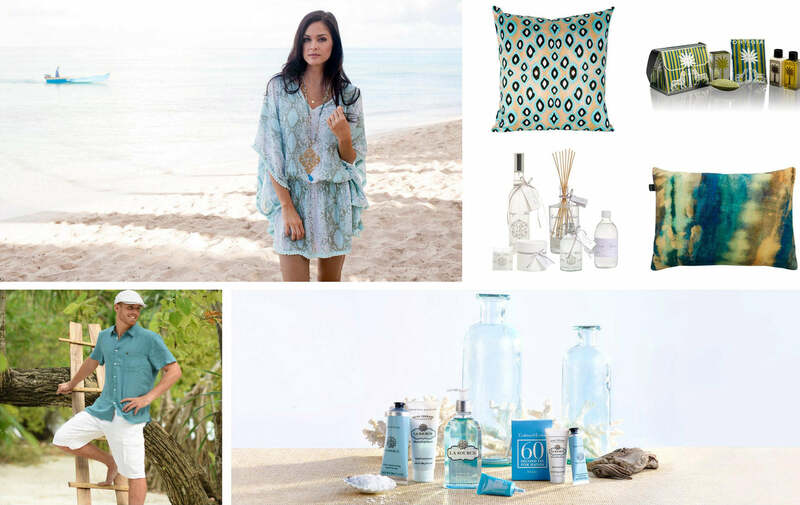 Our Concept Store offers a delightful range of personal products for you and your home. 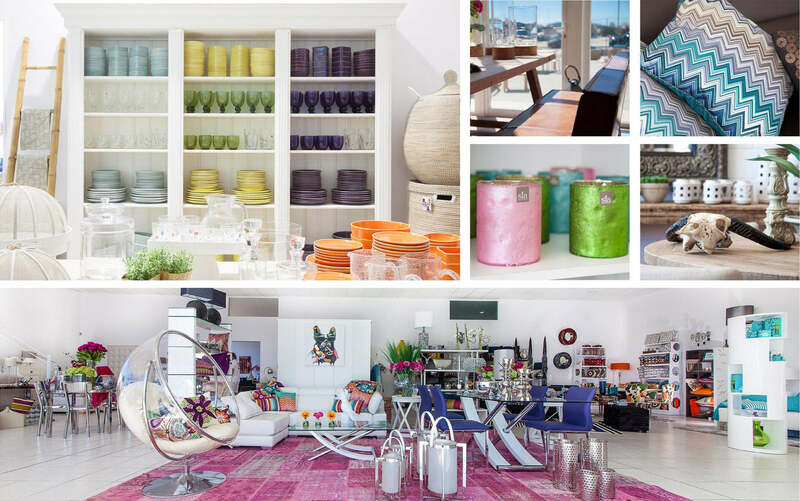 Discover our Concept Store located on the main Calle Illes Balears of the Poligono Son Bugadelles. C/ Valencia 45, Poligono Son Bugadelles, Santa Ponsa, Mallorca. Visit our Studio and our experts can assist you with your selections, or opt for our home consultation service if you would like us to come to your property to discuss your needs. A professional space dedicated to the world of interior design offering one of the largest collections of furniture and soft furnishings for private individuals, architects and interior designers. Furniture and Fabrics can give your décor the wow factor. We design and make beautiful bespoke furniture, curtains, blinds, cushions, tie-backs, and other accessories, for those stylish finishing touches. Visit our Studio and discover our extensive range of fabrics, from leading designers, for all tastes and budgets. 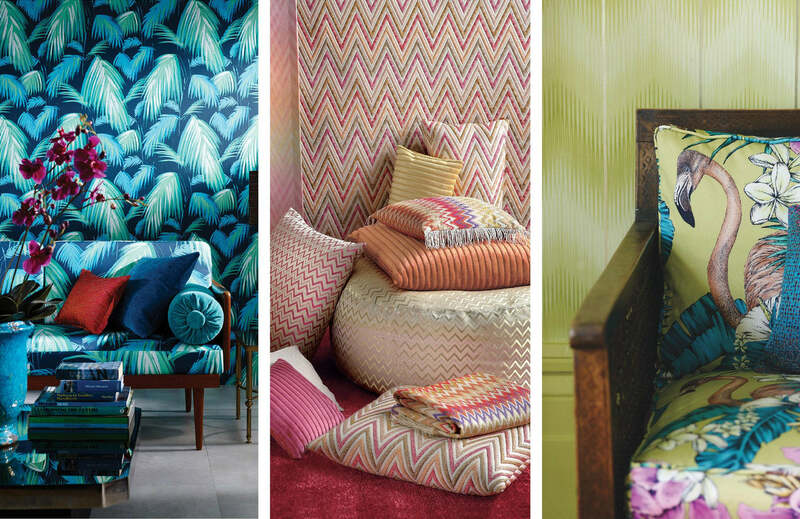 Great rooms start with great fabrics and walls deserve the wow factor! Our fabrics and paper department is one of the largest on the island and offers all the best designer brands letting us help you create a beautiful home including bespoke window covering, soft furnishings and wall coverings. Knox Design are well-accustomed to realizing the dreams of their clients using their many years of experience and knowledge of creating the perfect home on Mallorca. 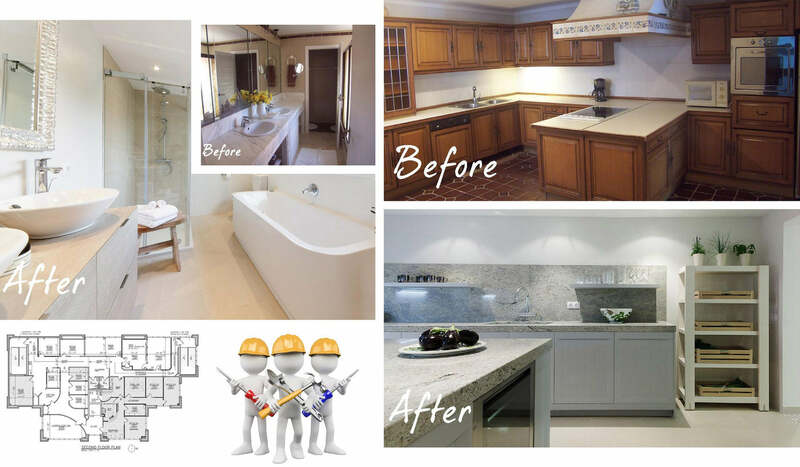 Providing all needed services including architectural, construction, electrical, plumbing, heating, air-conditioning, carpentry and decorating means our clients have a no-hassle, one-stop solution using Knox Design. For many, the Mediterranean island of Mallorca is the ideal location to find their dream home or a second residence. With the stunning environment and the cosmopolitan lifestyle that Mallorca offers, we understand why. Finding a property and a home you really love is only the beginning of the process. Many houses need to be modernised and adapted to the personal style of the buyer. Sometimes the process can be a lengthy one. From narrowing your search to find the right property, to dealing with legal and financial matters, you finally arrive at the decorating and renovation stage - unless you have been lucky enough to find your ultimate dream home. Justine Knox is a proven expert in Home Staging. She is one of the few professionals who has studied in the United States and in England with the best, and holds the qualifications and degrees to show that her methods have been learned directly from the “birthplace” of Home Staging. When we speak of Home Staging, we aren’t talking about a new concept! It began over 30 years ago in the U.S. and has been embraced over the last ten years by countries such as the United Kingdom, France and Sweden. It has become known relatively recently in Spain although it is certainly becoming quite popular in the Balearics. But what exactly is home staging? Put very simply: the application of a number of techniques designed to optimise the look of your property. 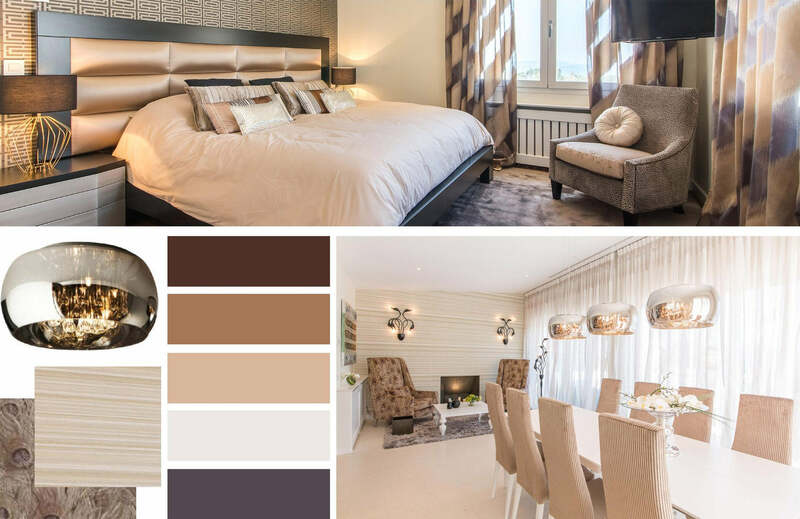 Mood Boards and Colour trends help clients envision what their homes will look like before they commit. 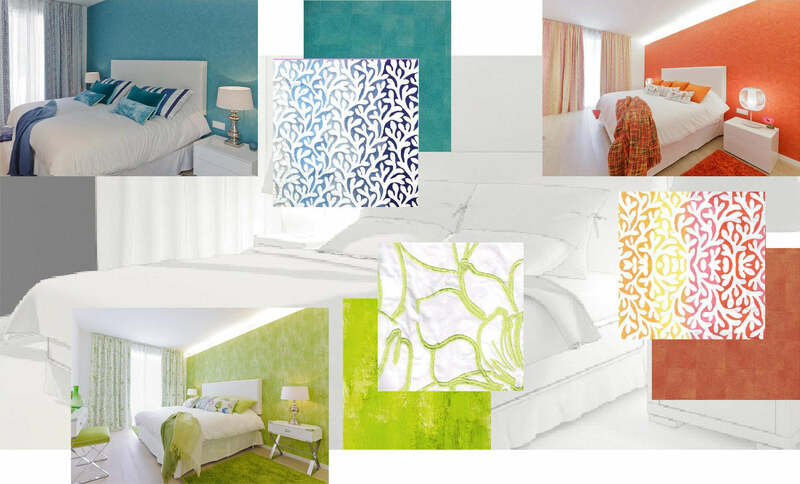 Smart Ways to get some colour into your Home Decor. 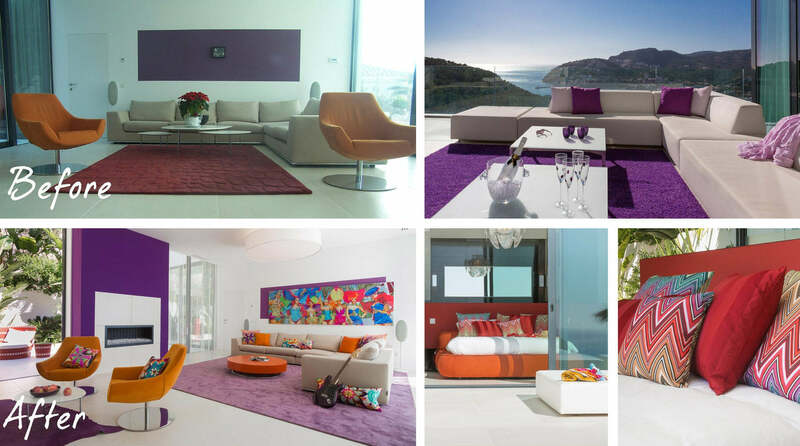 “Justine and her team provided us with a turnkey solution for our villa on Mallorca. With a blank canvas, it was difficult for Maria and I to envisage the design and layout of each room. Knox Design’s approach was to create mood boards, backed up by individual mock-ups of every aspect as the project evolved. A fantastic solution which enabled Justine to demonstrate her ideas and concepts clearly. We enjoyed this collaborative process immensely. Here is the end result of one of the projects carried out by Justine Knox of Knox Design, a magnificent villa in Son Vida with breathtaking views and stunning architecture that needed the décor to bring comfort and warmth to its modern lines. This project was created for an English couple in love with Deia, one of the most beautiful villages in Mallorca. Justine Knox was contacted by some Russian clients to discuss whether or not to invest in an old apartment with an excellent location in Portals Nous. They needed reassurance that if they bought it and refurbished it, including interior décor, it would turn out to be a good investment for them. Justine and her team have been commissioned to work on many design projects for the rich and famous, from the world of film, fashion and TV, who live and have second homes in the Balearic Islands. These “high profile” clients present Justine on a day – to -day basis with many challenges, both creative and artistic. They had looked long and hard for a property that they loved, with all of the ups and downs that crop up along the way. They came across Knox Design on the Internet and during a whirl wind trip to Mallorca which included signing for the house, we then met. This was a lovely project to work on. On first viewing you could see it was a beautiful building with faded grandeur. The 5 bed-roomed property had a real art deco feel to it and I could tell that done properly we would be able to create a home that wouldn’t feel out of place in Miami. 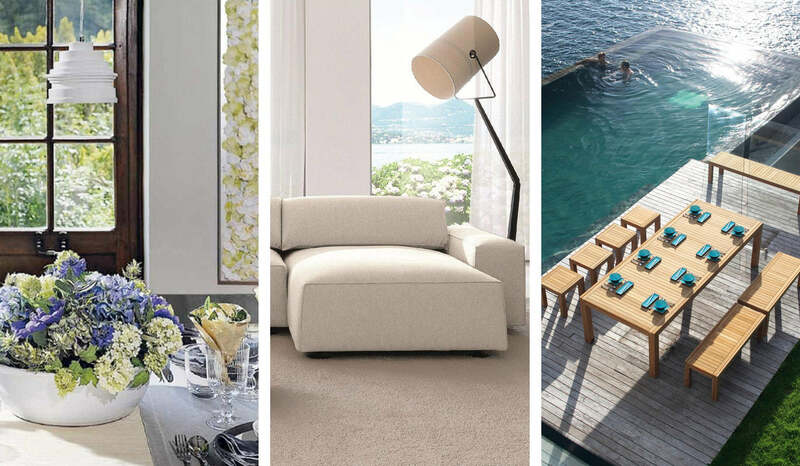 Based in the beautiful island of Mallorca we cater specifically to busy people who want a no-hassle interior design solution. We work in close collaboration with private clients, luxury estate agents and property developers both in Mallorca and internationally. 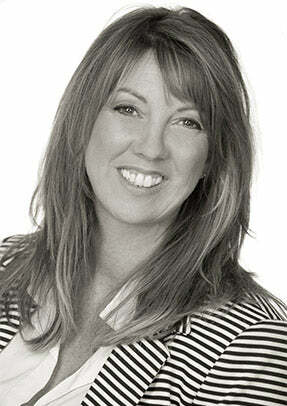 Justine Knox joined the prestigious directory ELLE DECOR magazine as a recommended interior designer. Our dedicated team offers a wealth of talent and experience in Interior Design, Home Styling, Commercial Design and Project Management. Visiting many furniture fairs every year keeps up to date with the latest trends and styles. This is the best way to enlarge our showroom with new products and brands for our clients and projects. Justine Knox is the heart and soul of KNOX DESIGN. Her broad and long standing experience in interior design and her passion for creating ideal, as well as practical, solutions, will satisfy the most discerning clients. Many artists have depicted and expressed their feelings by using and adapting textures and colours to transmit their most personal sensations. And is there anything more personal than our own home? Our home is our refuge, the epicentre of our life. Our home is the reflection of our soul. At Knox we like to apply these concepts, combine the various moods and adapt them to different lifestyles; we seek to bring wellbeing that goes well beyond mere comfort, beauty or practicality. We aspire to more.